The history of the Venetian carnival dates back to the 17th century when it used to be a colossal party meant for dignitaries and royals of the period. The dress code for such a ball implied opulent dresses for the women, capes and costumes, as well as beautiful masks. These masks were worn to hide one’s true identify. 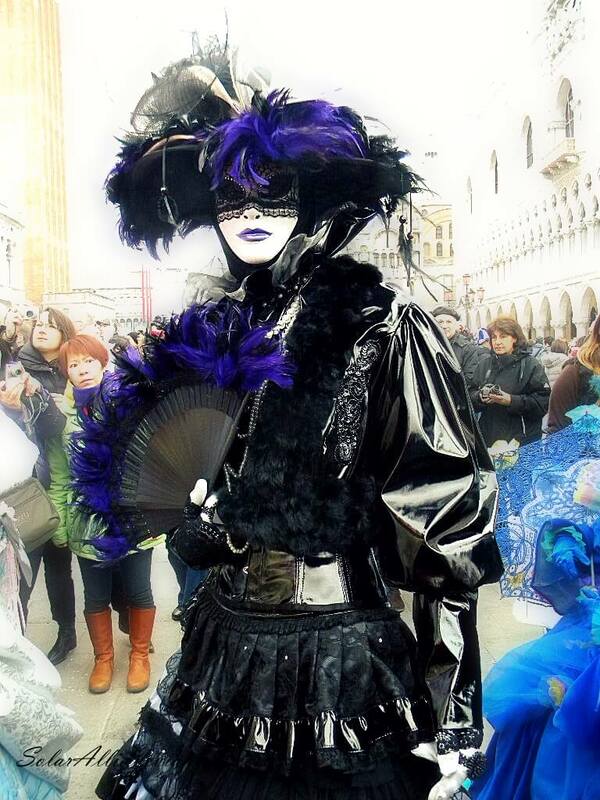 Today, the idea of a Venetian carnival is still celebrated in Italy throughout the month of January every year. The United States is extremely fond of Venetian inspired parties too, so if you’re thinking of attending one this New Year’s Eve, it’s time to start shopping for an appropriate masquerade mask. 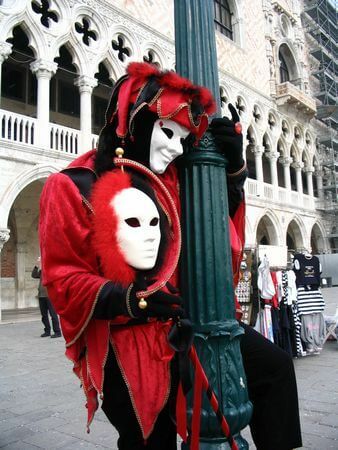 Luxury Venetian masks are usually made using the original craft of ‘papier mache’. The original Venetian mask was rather simple in decoration and design, and it was meant to be practical. Nowadays, most masquerade masks are made using golf leaf applications and gesso, and to give them a more alluring appeal, craftsmen choose to hand-paint them with decorative gems, natural feathers, and lots of glitter. A Bauta mask for a Venetian carnival is an excellent choice. It will cover the entire face and it comes with a really stubborn chin line. If you’re not that fond of the full-faced mask you can always opt for the half-faced type. The Bauta is extremely popular and it’s usually attached to your face by an elastic band. Hence, the wearer will have his hands free to enjoy the party. The masculine appealing of the masquerade mask makes it more appropriate for men than women. The Columbina mask covers the wearer’s nose, upper cheeks, and eyes. Often decorated with silver and gold insertions, as well as plenty of feathers and crystals, the Columbina is excellent for women. The mask is held on a baton or it can be tied on the back with a ribbon. Named after Commedia dell-arte, a stock character of Venice and an unforgettable personality of the Italian theater, the mask is a modern creation of a masquerade mask that you’ll certainly adore wearing for your Venetian carnival. Also known as medico dell peste, the masquerade mask is one of the most bizarre types of all Venetian masks. The design is pretty striking and it originated in the 17th century from Charles de Lorme, a French physician who was wearing the mask for sanitary precautions while he was treating patients with plague. Suitable for men, the mask comes in pure white shades and it will work great with a black suit. The word volto means face in Italian, while larva means ghost in Latin. The masquerade mask in questioning is iconic for Venetian carnivals, and it usually covers the whole face, including the chin. The dominant color is white and the simple shape of the mask will certainly make the wearer stand out. Suitable for men, the volto is tied on the back with a ribbon. In Italian, Arlecchino means harlequin, which is a main zanni character of the Italian commedia. It was some sort of noble savage, a pleasant servant, filled with emotions and feelings. The mask is made of leather and it usually covers half the face. The structure of Arlecchino highlights a set of arching, round eyebrows, an ape-like nose, and a bump on the forehead that signifies the devil’s horn. Opt for the most opulent masquerade mask and you’ll certainly make an impression with your peculiar yet extremely appealing harlequin. Finding an excellent mask for a Venetian carnival can be a daunting activity. Prior to picking out a mask, find out more about its history, look into some of the most common types, and use that knowledge to opt for the best item. Balls and themed parties are meant for people who want to have fun, yet if you’re also looking to make an impression, it’s extremely important to pick a genuine masquerade mask. Whether you’re fond of the Bauta or you want to set yourself apart from the crowd with a luxurious Plague Doctor Mask, as long as you opt for quality the final outfit will blow everyone away.